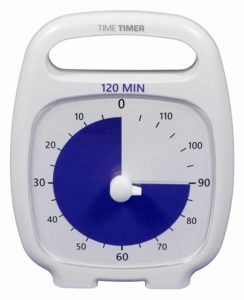 The Time Timer PLUS in two new durations is available from June 2017 onwards! The color is different so not to be mixed up with the well-known red disk for the 60 minutes Time Timer. 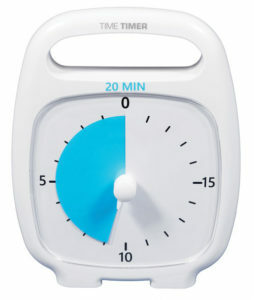 Very suitable for older children who need more than one hour for a task or activity.